Dublin Coach Launch at The RDS, Dublin Photo:Michael Donnelly. Is there a better way to take in Ireland’s capital than sitting back with coffee on a hop-on hop-off coach tour while a great Irish storyteller fills you in on the history? 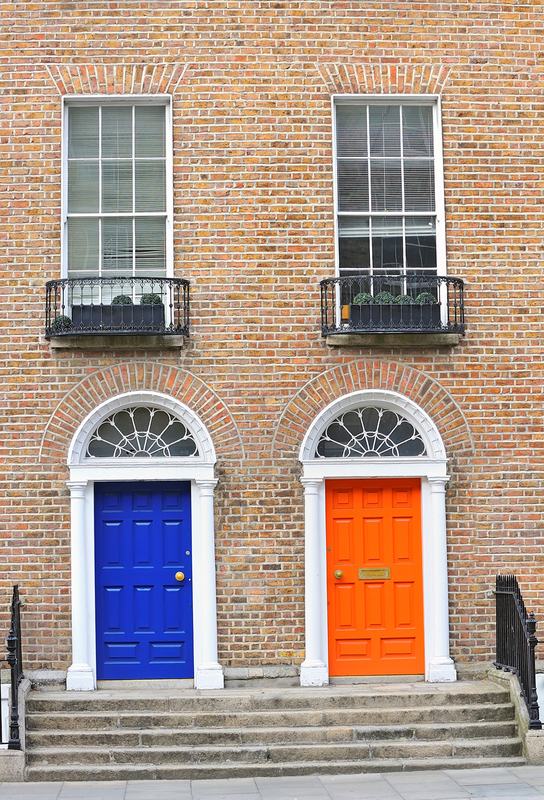 Unlike many major cities Dublin is small, but perfectly formed, with its center measuring just over 44 square miles. The first settlement on the site dates back to prehistoric times. Tales of battles, revolts, literature and the development of the city flow from the Vikings and High Kings right through to the Georgian period and continue today. 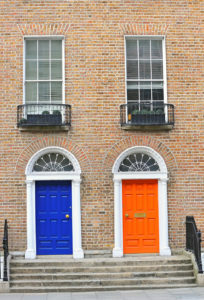 Dublin is alive with stories about its every nook and cranny, which is good, because the one thing us Irish love to do is tell stories. A new service on the streets of Dublin is CityScape luxury hop-on hop-off bus tours. The group has a fleet of coaches on the move with 14 tour guides, all with different interests and tales to tell, along their 28-stop route. 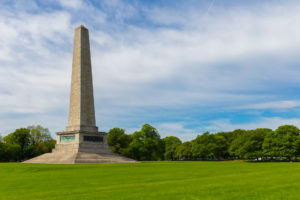 The tour runs from Phoenix Park on the north side of the Liffey to Ballsbridge in the south, and with so many stops and different guides and historians to learn from, you won’t need to book any other guide of the city. I spent a cozy afternoon on one of the CityScape buses last December, and as the winter chill filled the air and Dubliners went about their everyday business I was transported in the lap of luxury. With a piping hot coffee provided on board, I listened to tour guide Terry Quigley talk about his Dublin. A native of the Liberties, in Dublin’s city center, Quigley is a history student at St. Patrick’s College, Drumcondra. His passion for history and the city where he was born and bred had me rapt for almost three hours as we drove the circuit of the city. What a treat, as a native Dubliner, to be entertained with these stories, hidden gems of history, many of which I’d never come across before. Our guide seemed to know stories about every mysterious hideaway in the city. Aside from a rich knowledge of the main tourist attractions and understanding of the characters and events that shaped Dublin, what I thoroughly enjoyed were the forgotten and hidden gems our tour guide imparted. Heading towards the Guinness Storehouse, named after the area of Dublin called St. James’s Gate, Terry pointed out the presbytery of St. James’s Church, where pilgrims would have their cards stamped to signify the start of the trail to Camino de Santiago, Spain. He told us “In the Middle Ages 20,000 people a year used to depart from Ireland to go to Santiago. Of course if you are wealthy enough you would have your servant do the pilgrimage for you and you would reap all of the spiritual rewards.” The church still performs this service today. Driving along the north quays of the River Liffey, he told us about the wealthiest Cistercian Abbey in Ireland, St. Mary’s Abbey, now buried deep beneath the Capel Street area. Where the King’s council met and Silken Thomas declared rebellion, the abbey remained until after the Reformation when the stones in the buildings were used to build up the quays of the river and even build a bridge, where Grattan Bridge stands. 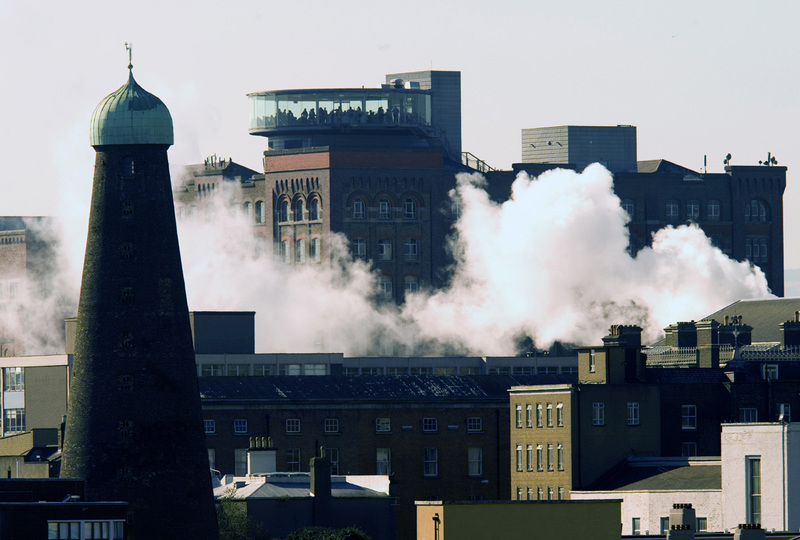 Moving down the river, we hit the financial and tech hub of the city, where modern glass buildings line the Liffey, housing international brands and tech giants like Google, Facebook, and Twitter call home. As we crossed the river our guide reminded us that there has been human settlement on this land since 6000 B.C. The Temple Bar Pubfront in close up with artwork of medieval characters. The variety among CityScape’s tour guides means that every time you get on a bus you’re bound to hear a new story. The guides come from backgrounds as varied as archaeology, thatching, acting, music, history, sports, journalism, and others. “That’s the fun of it,” says Aoife Dunphy, a spokeswoman for the tour group. The Guinness Storehouse at St. James Gate. CityScape prides itself on bringing the traditional art of storytelling in Ireland to the tour guide business. The tour guides have been specifically trained as storytellers, with tales from numerous sources, events, and oral histories. The result is a fascinating and entertaining collection of tales offering little-known glimpses into the history of Dublin and its present day. 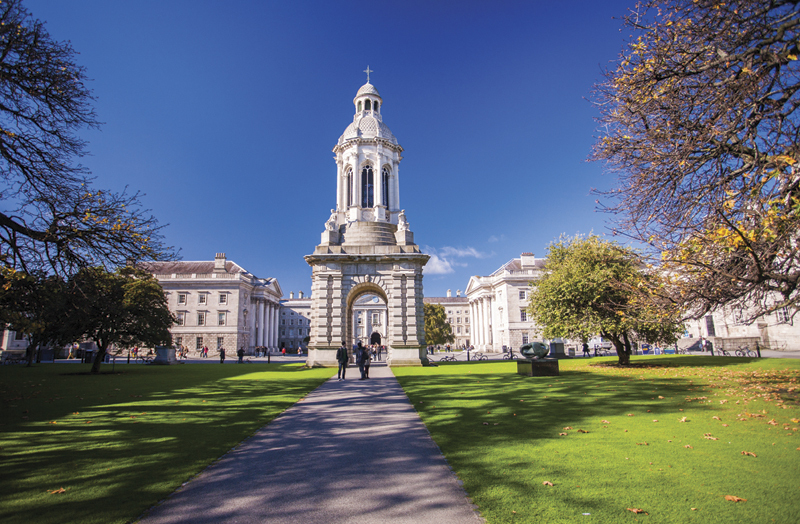 From prehistoric settlements to Viking invasion, Dublin’s architecture, colorful locals, the Great Hunger, the Easter Rising, the good, the bad and the ugly, our tour gave us a picture of the many layers of history that make Dublin so special. Of course the city’s not all about old history, and the guides also know what’s going on about town. 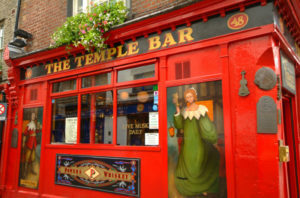 They will point out great spots for a bite to eat, what exhibitions are on, where to stop for a pint and any upcoming events that cosmopolitan Dublin has to offer. On a bright winter afternoon we picked up tourists, business people, and some resident Irish along for the ride as we drove through a magical winter wonderland of Dublin. All the while I simply sat back and enjoyed the stories and banter along the way. The flexible three-day hop-on hop-off tickets allow visitors to explore the city in depth. Currently CityScape is also running a deal that includes a free night at the dog races, 30 percent off a tour of the five-year-old Aviva stadium and one euro off entry to the Guinness Storehouse, Ireland’s most popular tourist attraction. Stopping at top tourist attractions, historic monuments, the main thoroughfares of the city and near most major hotels, their route takes in the key vacation must-sees and some local secrets too. Starting off at Kilmainham Jail just south of the Liffey where many Irish revolutionaries were interned and executed, we traveled across the river and out of the city center towards Phoenix Park, Europe’s largest city public park and home to the U.S. Ambassador’s residence and Dublin Zoo and home to Ireland’s President. The Wellington Memorial in Phoenix Park. Heading back into the city along the north bank of the river, our tour passed Collins Barracks, now home to the National Museum of Ireland, and the Jameson Distillery, along towards Parnell Square, the Garden of Remembrance and the Irish Writers’ Museum. Heading south we passed the General Post Office (GPO) and O’Connell Street then passing the stunning Custom House and Ireland’s International Financial Services Centre (IFSC) on our way to the relatively new neighborhood of Grand Canal Docks and on to the Aviva Stadium in Ballsbridge and the Royal Dublin Society (RDS). From the area of Dublin 4 and reentering Dublin 2, the tour brought us from Victorian Dublin back into the Georgian elegance of Merrion Square along to Ireland’s government buildings and museums on Kildare Street. Then it was back to Dame Street, past Trinity and on to Viking Dublin and to St James Gate, home of Guinness. 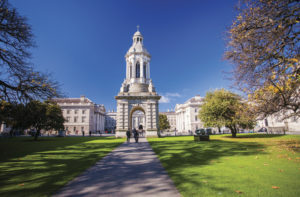 The tour passes too many of Dublin’s highlights to mention but with 28 stops on the route, there are more than enough of them to keep you entertained for your three-day hop-on hop-off adventure in Dublin.